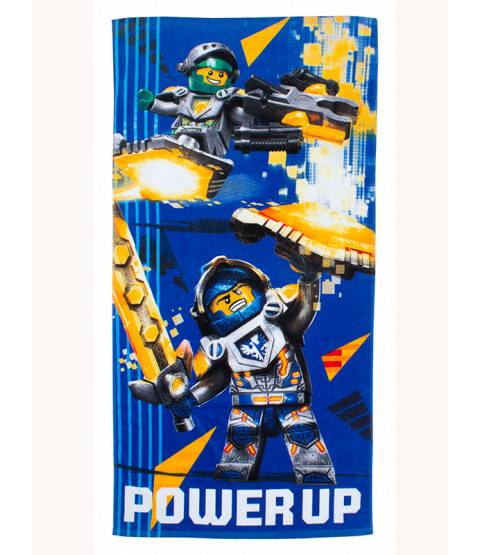 Whether you're by the beach, at the pool or using it at bath time, this fantastic Lego Nexo Knights towel is the perfect way to keep yourself warm and dry. 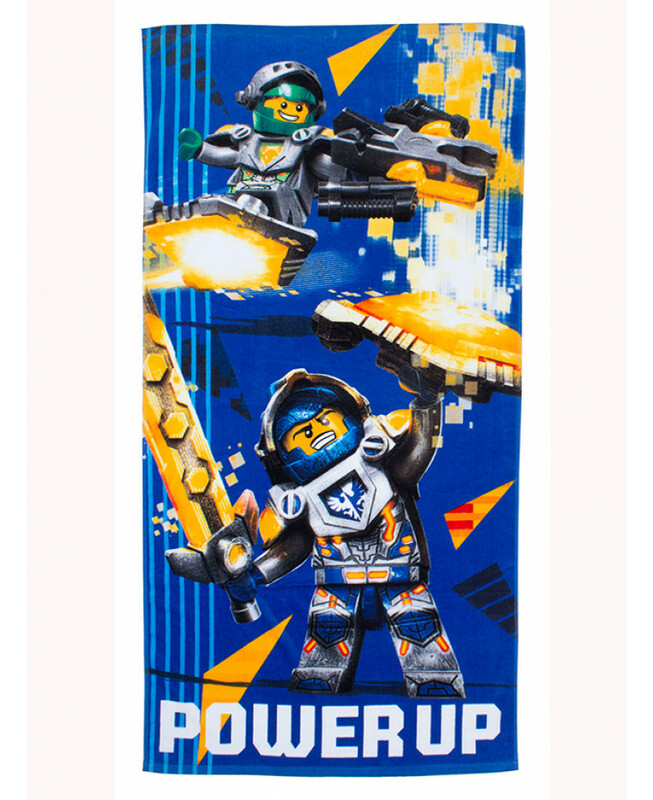 It features a great image of Lego Knights Clay and Arron on a blue and yellow graphic print background. Made from 100% cotton, this large towel has a soft velour feel and is machine washable.